Hakeem Baba-Ahmed, the Chief of Staff to the Senate President Bukola Saraki, on Monday dumped the All Progressives Congress, APC, but was quick to clarify that his decision had nothing to do with his principal. He described his decision to leave the APC as a difficult one, disclosing that his resignation is coming after due consultation with members of his Akida faction of the APC in Kaduna, which also has the senator representing Kaduna Central, Shehu Sani, as member. 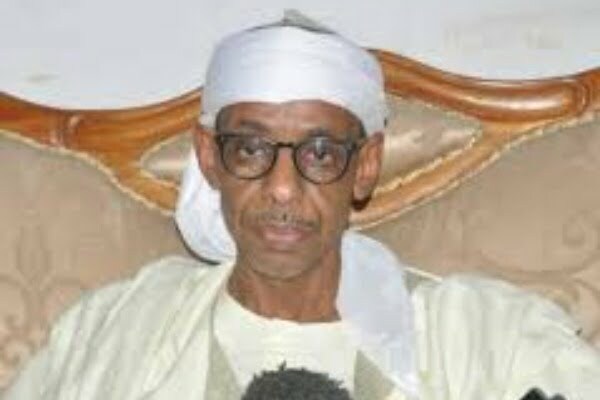 Baba-Ahmed, while addressing journalists in Kaduna on Monday, said he has sent a letter of withdrawal from APC to the party chairman in his ward. He explained that he was not leaving APC to join another party but believes the ruling party has underperformed. According to him, “This statement is to inform the public of my resignation from APC. I have sent a formal letter to this effect to chairman of my ward. “This has been a very difficult decision, to leave a party I helped to form and made my humble contributions to put in power. “After three years, however, I need to say that the APC has grossly under-performed and has forfeited any claim to my loyalty and continue membership. “I do not believe in all conscience, that it should be trusted and encouraged to continue to govern our great country beyond 2019. “I am not leaving to join another party. This is my decision and mine alone . It has nothing to do with the president of the senate, Dr Abubakar Bukola Saraki. “It’s a decision taken after due consultations with Akida Group, a group that has predated my appointment as chief of staff to the President of the Senate. “I will remain active in politics, as this is the main avenue for salvaging our nation from rising insecurity, poverty and bitter divisions,” he said.